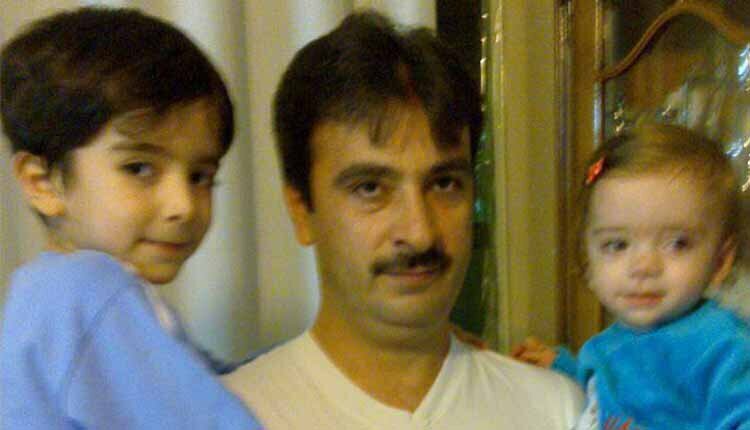 Political prisoner Hamidreza Amini was beaten in the hospital during a Nowruz visit with his family. According to reports, on the morning of Tuesday March 20, the wife and children the political prisoner, who had currently been on a dry hunger strike, came to see him in Khomeini Hospital. His family were guided by people at the hospital to the ward when Hamid Reza was hospitalized. Upon seeing them, Hamid Reza requested from his guards to see his family, after which he was severely beaten to the extent that his face and lips became injured and bloody. The agents pushed the political prisoner to the ground. His youngest son, who had become terrified from seeing his father being beaten in front of him, started yelling and crying… Hamid Reza was finally allowed to hug and comfort his terrified son with blood streaming down his face. Hamidreza Amini is the administrator of a Telegram Channel and was arrested on December 2. He has been charged with publishing lies, blasphemy and insulting officials of the Islamic Republic. He went on a hunger strike after he was illegally transferred from Evin Prison to the greater Tehran penitentiary.